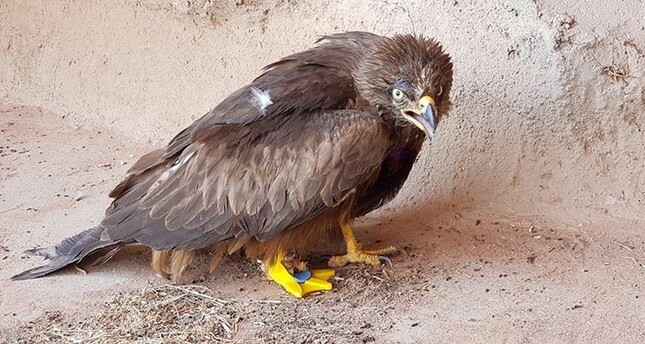 A young man in southeastern Turkey's Mardin province treated an eagle missing its claws by equipping it with a 3D-printed foot. A resident of Derik village, 23-year-old Hasan Kızıl has been dubbed as "the life repairer" by locals for crafting walkers and prosthetic limbs for injured animals through makeshift means. According to Kızıl, the eagle lost its claws to an electric fence and therefore was unable to fly. "Eagles take off with support from their feet and the eagle was not able to fly as it couldn't take off without a foot," he said. Kızıl said that he's treated around 300 disabled animals for free so far and that he was happy to save the eagle. Kızıl was the recipient of a Benevolence Award by Turkey's Presidency of Religious Affairs in March, for his efforts toward treating disabled animals. The award was given to him by President Recep Tayyip Erdoğan.